I have a serious headband obsession. I should probably be embarrassed by how many headbands I have, but I love them and how much easier bad hair days are with them. I also love bows, my mom used to put giant pink bows in my hair so she could easily spot me when I was bouncing around the pool or playground like the spastic child I was. I'm a little sad that its now only socially acceptable for me to wear giant bows in my hair for sports games or sorority mixers, which is why I was overjoyed when I found this headband! Not only did I get to make it pink, but it has a updated 'bow' on top so I can sport my old accessory again! For this craft you will need at least 10" x 6" of fabric, hemming tape (or if you are better at sewing than me, you can sew it), and velcro, elastic, or ribbon. 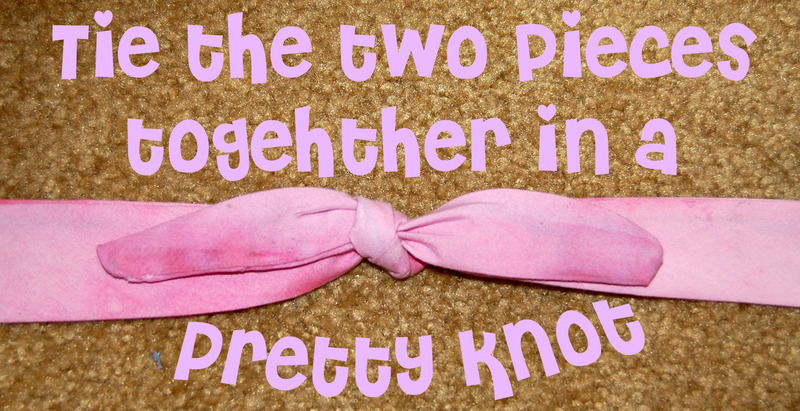 If you have those things than you too can make an adorable retro headband! Cut two pieces following the measurements above. I have a pretty small head, but I wanted to have a big knot. If you have a big head and want a small bow, this will be fine. 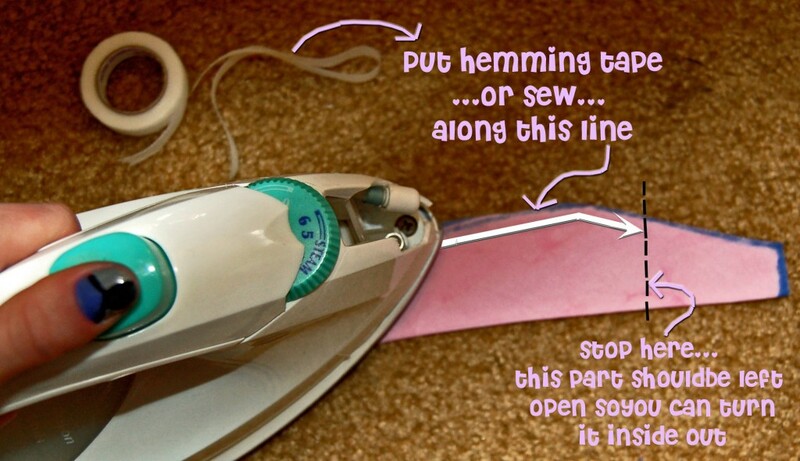 In the open ends, tape/sew/iron on your fastener. I used thick pieces of elastic. Make sure you measure how it will fit on your head before adding the fastener! Now you have your very own retro headband!